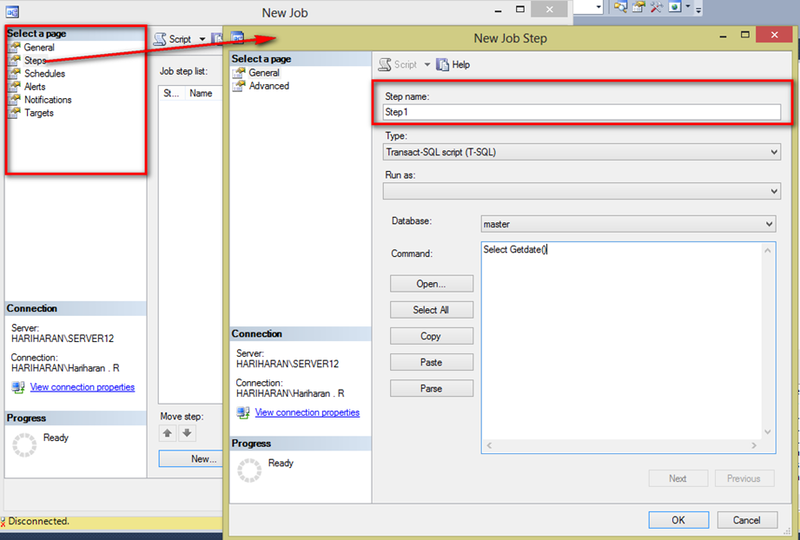 Creating a table in MS SQL Server is very easy, this can be achieved by using T-SQL scripts or GUI. 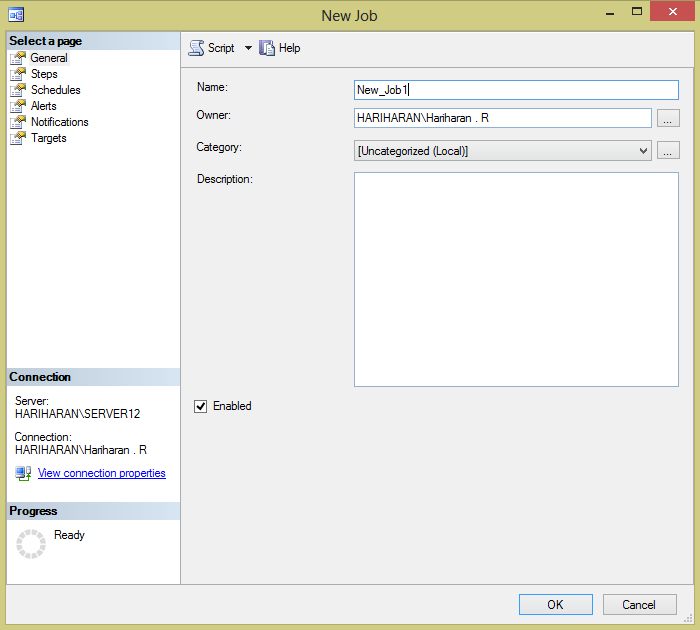 This article will use T-SQL Scripts to a create a table. Identify the columns and data types. Refer this link, to know about data types. Table is the storage unit in a database which stores the data in rows and columns as like excel sheet. The output of the table result is similar to the excel sheet data. If you are decided to store some data in a database then you must use table. The basic table structure will look like below. We can add more columns in the structure, each column should be define with the right data type. Here Id is the column name and int is the data type which is nothing but an integer. Let us discuss, what is a primary key and how to create it. Primary key is a constraint which we need to define in any one of the column in a table. It will not allow null values in that defined column and entry to the column should be unique i.e. it won’t allow duplicate values. Choose an ID or Unique Identifier (GUID) column to create a primary key, this is the best way to define a table structure. In the above script, ID column is considered as a primary key. You can check this by clicking the columns folder under dbo.Users table. After this a new pop-up screen appears and you need to key in your new job name. I am using below screenshot from one my colleague’s computer and hence you see a different name on it. In the same pop-up you have to go step by step tab in the left side. Go to steps and then provide the path to your SSIS package, but in the below example, I am giving an option to run SQL Script. And then go to schedules tab and choose how frequent you want this job to run, like hourly / daily / weekly / monthly / quarterly / yearly. 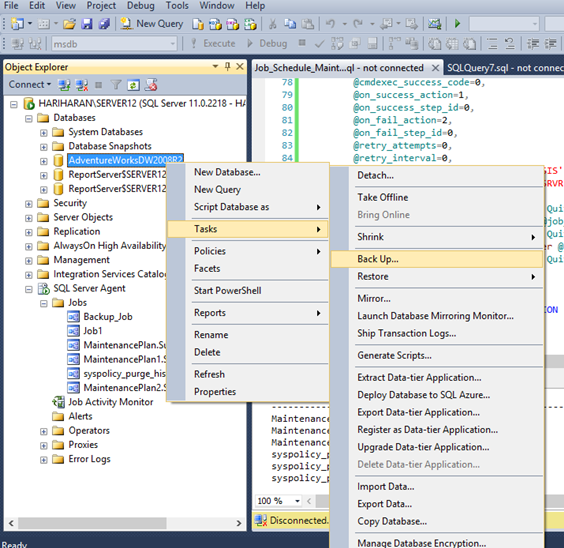 Microsoft have released many DMV & DMF for every release of its new SQL Server release. This has helped every administrator and developers a VERY BIG HAND in sorting out many problems. The days in writing our own scripts are now over and these DMV’s also provide support for almost all areas no matter whether it is to do with sessions, tables, indexes, Operating system, I/O. All are now taken care. Below I am providing some of the DMV’s that might be helpful for you. In this post, I am going to provide a simple demo on how to change the Database Recovery Model. For this example I have chosen the AdventureWorkdDW2008R2 database and you can download it from here. 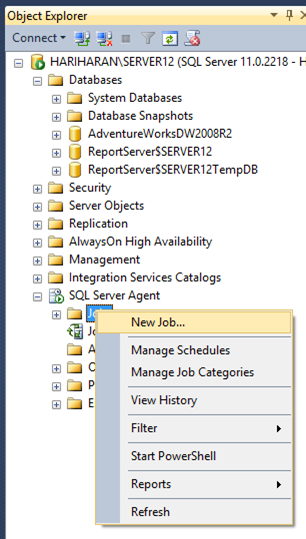 Once you have opened your SQL Server Management Studio, expand the databases and right click on our AdventureWorkdDW2008R2 database and choose properties. The below image will appear. In here go to the Options tab from the left and then you can see “Recovery Model” options which has Full, Bulk-logged, Simple. You can simply select the required recovery model and click on OK button at the bottom of the pop-up box. That’s it, your recovery model will be changed. 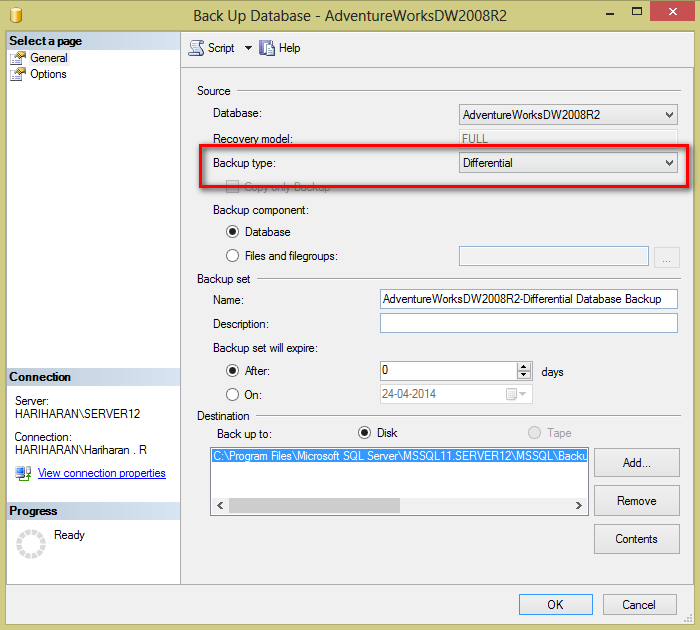 This post is to cover differential database backup in Microsoft SQL Server. You can try this in your local system and for this demo, I am using AdventureWorksDW2008R2 database. You can download this from this link. Following this, a new pop-up appears which gives much options to choose the available backup options. In here, I have highlighted “Backup type” and selected “Differential”. If you click on the drop down box, you will then see options for other types of backups. In “Backup set”, I am giving a name for the differential backup. And then at last choosing the “Destination”, where the backup file will be placed. In here you also have options to Add new location, remove the default location. Also you can use below T-SQL scripts to take backups instead of using GUI interface. NOTE: Full Database backup should be taken before taking differential backup. Give a try at your end.